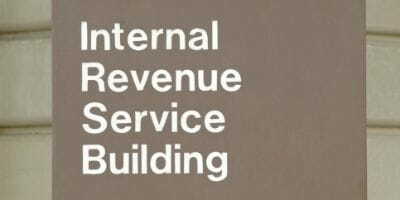 The Internal Revenue Service has come under fire in recent days for targeting conservative organizations during the 2012 political season. The IRS apologized May 10, admitting it intentionally profiled groups that included the words “tea party” or “patriot” in their applications seeking tax-exempt status. President Barack Obama announced Wednesday the resignation of acting IRS commissioner Steven Miller. In a tough week for the White House as it faces snooping allegations on Associated Press reporters and ways it handled the Benghazi terrorist attack, the firing was the administration's initial response to the abuse of power by the IRS. Claiming he was “angry,” the president said the American people had the right to be angry as well and vowed to work with Congress to institute new safeguards. "I will do everything in my power to make sure nothing like this happens again," he said at the East Room of the White House. Not only did the IRS target conservative political groups, but the heightened scrutiny also included well-known Christian ministries. Noted leader Franklin Graham, son of evangelist Billy Graham, sent a letter to the president. The letter stated that Charlotte, N.C.-based Billy Graham Evangelistic Association and Samaritan’s Purse was wrongly audited in October 2012 by the IRS. "I am bringing this to your attention because I believe that someone in the administration was targeting and attempting to intimidate us," Graham wrote. In support of North Carolina’s marriage amendment initiative, the Billy Graham Association ran full-page newspaper advertisements in April 2012. Likewise, leading up to last year’s general election, Franklin Graham’s Samaritan's Purse ran ads nationally urging voters to support candidates "who base their decisions on biblical principles and support the nation of Israel." The National Organization for Marriage Wednesday announced it would file a lawsuit against the IRS seeking damages over the illegal theft of the organization's confidential tax return from 2008 and its subsequent leak to the Human Rights Campaign, NOM's principal political opponent. "Not only has the IRS retaliated against conservative, small-government and tea party groups as they apply for recognition of tax exemption and lied about it, but it has criminally released our confidential tax return including the identity of dozens of major donors to a political enemy," said Brian Brown, NOM's president. "In addition to being our principal combatant in the war on traditional marriage, the HRC's president at the time was serving as a co-chair of President Obama's reelection campaign. This is a chilling set of circumstances that should ring alarm bells across the nation." NOM has retained ActRight Legal Foundation to file the lawsuit in federal district court in the District of Columbia. Separately, the conservative public interest law firm will also file a lawsuit on behalf of another nonprofit, which was subjected to inappropriate political activity in the review of their nonprofit application. "The very core of our ordered society has been shaken by this political roughing-up of nonprofits by the IRS," says NOM's chairman, Dr. John C. Eastman. "As a constitutional law scholar I can tell you that no nonprofit should ever have to experience this kind of retaliation. I am pleased to announce that the excellent attorneys at ActRight Legal Foundation have identified a strong legal strategy that should ultimately hold the IRS accountable and result in lasting change inside of the IRS." The IRS also released the confidential donor lists of the National Organization for Marriage to the liberal Human Rights Campaign. The Coalition for Life of Iowa was another organization that claims it received prejudicial questioning by the IRS, which delayed granting the tax exemption to the non-profit religious organization. After questioning the educational nature of the Coalition's materials concerning prayer meetings, talks and other pro-life activities, the IRS stated that it would not grant tax exemption until the Coalition agreed to limit its "picketing" and "protesting" of Planned Parenthood. "The IRS not only erroneously forbade the Coalition for Life of Iowa from engaging in 'advocacy' as a section 501(c)(3) non-profit organization; they also never gave any explanation as to why their request was relevant," said Thomas Brejcha, president and chief counsel for the Thomas More Society representing the organization. "The Coalition has clearly and truthfully stated that all its activities fall in line with IRS guidelines. The IRS is protecting Parenthood and harassing the Coalition for Life of Iowa." Evangelical Christian author and licensed psychologist, James Dobson, Ph.D, announced Wednesday his new ministry Family Talk Action Corporation received push back in the early stages of his application process. Dobson, who founded Colorado Springs-based Focus on the Family, said IRS agent Ms. R. Medley said it was doubtful the application would be granted. The review agent argued Family Talk Action sounded like a "partisan right-wing group" because, according to Medley, it only presents conservative viewpoints. “You're political," she added, because the program "criticized President Obama, who was a candidate." "The American people deserve better treatment from its government than this,” Dobson said. “Christian ministries and others supporting the family must not be silenced or intimidated by the IRS or other branches of the government." While applications for nonprofit status for conservative groups were delayed some 27 months, USA Today reports groups with distinctly liberal names were approved in as little as nine months. “With names including words like ‘Progress’ or ‘Progressive,’ these groups applied for the same tax status and were engaged in the same kinds of activities as the conservative groups,” claims the USA Today report. “Bus for Progress, a New Jersey non-profit that uses a red, white and blue bus to ‘drive the progressive change,’ Missourians Organizing for Reform and Empowerment says it fights against corporate welfare and for increasing the minimum wage and Progress Florida, who lobbies the Florida Legislature to expand Medicaid under a provision of the Affordable Care Act,” USA Today reported. The Media Research Center uncovered that liberal billionaire George Soros gave $6.1 million to groups that pressured the IRS to target conservatives. Some of those groups include the Campaign Legal Center, Democracy 21, the Center for Public Integrity, Mother Jones and Alternet. Reps. Darrell Issa, R-Calif., and Jim Jordan, R-Ohio, claim nearly 500 organizations were singled out for further inquiry. Russ Jones is a 25-year award-winning journalist and correspondent. He is co-publisher of various Christian news sites such as ChristianPress.com, ChristianNewsService.com, OxfordFamily.com and a media consultant to a number of political and cause-oriented campaigns. He is also a freelance correspondent for the American Family Radio Network, a regular contributor for ReligionToday.com, Crosswalk.com and various Christian TV networks. He has been a guest on such programs as the Mike Gallagher Show, the Dennis Prager Show and Sandy Rios in the Morning. Jones holds degrees from the University of Missouri-Columbia and St. Paul School of Theology. Russ is married to Jackie and together they have four children. He may be reached at [email protected] or Facebook.com/russjones.